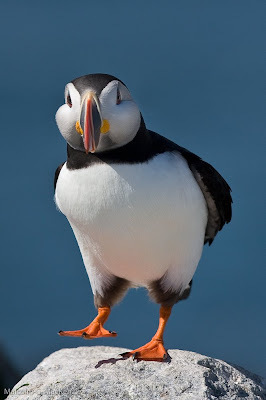 Keep it in Focus: Puffins. 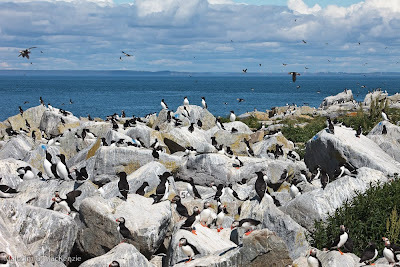 Machias Seal Island. 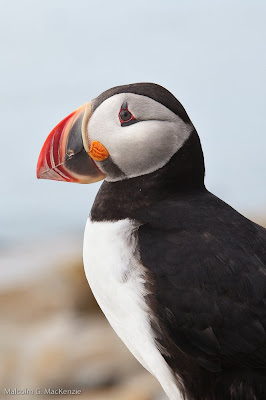 If you want to see lots of Puffins in the Northeast, then there is only one place to go....Machias Seal Island. 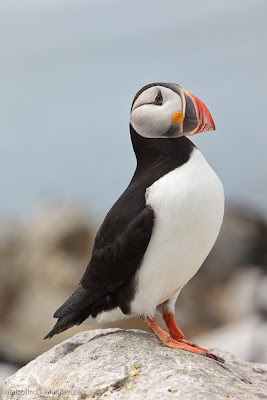 If you want to land on the island and spend an hour or so in a blind, watching or photographing them, then the company you want to use is Norton of Jonesport, the Puffin People. Run by a mother daughter team of Whitney Norton and Holly Davis, Norton's has the permits to land daily from early June to Mid August on the island sanctuary. 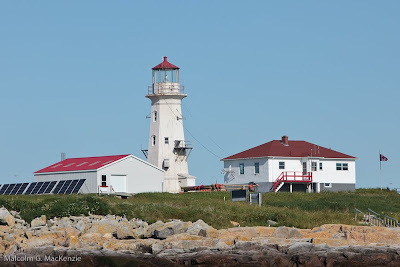 Machias Seal Island is about 10 miles off the coast of Maine. Sovereignty of the island is disputed between the US and Canada, and Canada has a manned lighthouse on the island. I was fortunate to have made 2 trips to the island last week. Fortunate because the weather is often rough enough to cancel landings, in fact the Nortons said the have had only 7 good days out of the last 21 so far this year. Reservations are necessary for most trips are fully booked. If you are planning on making a trip then book consecutive mornings so that if the first one is cancelled then you get a second chance on the next day. 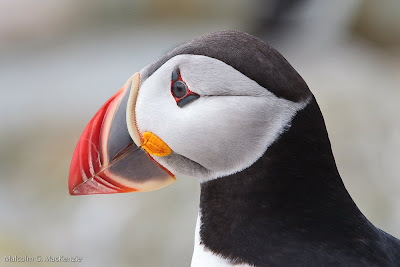 Puffins are not the only seabirds nesting on the island, you will find Razorbills and Murres and perhaps a few Arctic Terns. You will thoroughly enjoy the company of Holly and Whitney and their crew of Captain Stephen Brown and bird spotter Jake Kunkler. They are friendly and informative and will make your trip very enjoyable on board their boat the CHIEF. For photographers, you won't need your long lenses, under 300mm is adequate even with a full sensor camera. You will be shooting through a small opening in a blind, barely able to fit the hood of your 300, so you will not need a tripod. There is also the option not to go to the blind but instead stay on the reception platform and try for flight shots. If that is your choice then a longer lens may be appropriate. Thank you for taking such beautiful pictures and writing an amazing blog. My daughter loves to experience your journeys with you. 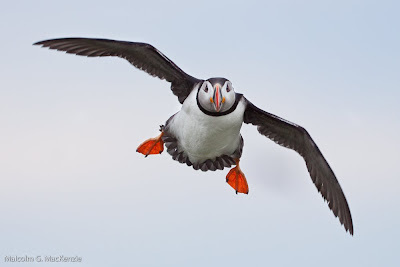 I love these Puffin shots! They are fantastic!